Fairly common and widespread in conifer-dominated forests in Island, Kitsap, and King Counties at all elevations, although nearly absent from urbanized areas. Common in northern and western Kittitas County in all forested habitats. 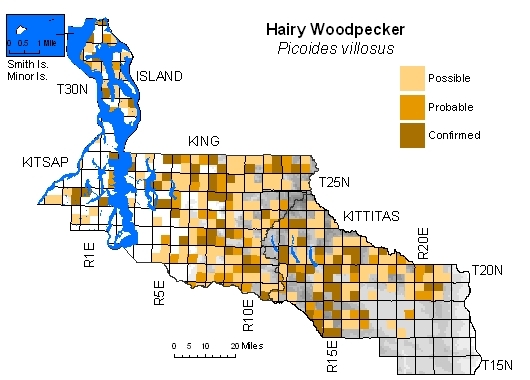 Ranges into subalpine forests, where rivals Northern Flicker as most common woodpecker. Two recognizable subspecies in area: dusky-bellied P.v. 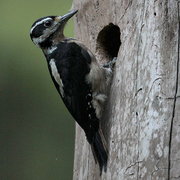 harrisi of western lowlands and white-bellied P.v. orius of Cascades.